Xiaomi is working on Mi Mix 2 and Mi 7 Smartphones with Snapdragon 845 Processor now Specs of upcoming Xiaomi Mi 7 Specs Leaked. 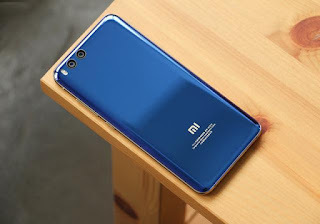 Xiaomi Mi 7 features a 5.6-inch display that supports FHD+ resolution of 2160 x 1080 pixels Powered by Snapdragon 845 processor with 8 GB of RAM and128 GB Storage. There will be also 6 GB of RAM and 64 GB of storage. It will run on MIUI 9 based on Android Nougat. Xiaomi Mi 7 will be packed with a 4,480mAh battery Mi 7 expected to come with wireless charging. On camera there will be Dual Rear Camera. Xiaomi Mi 7 expected to launch in April.